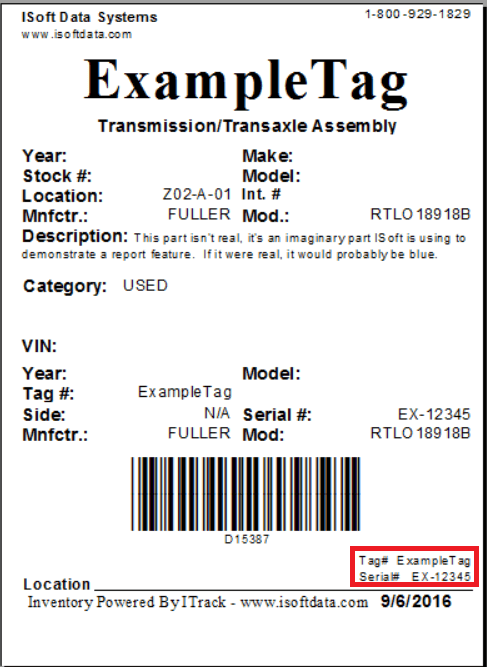 Coming soon to ITrack Enterprise, Serial Numbers will be displayed below the barcode along with Tagnumber if the setting to display tag below tear off is enabled. This will allow for easy part identification using only the bottom tear off from the tag. If you prefer not to see this information or aren’t using perforated tags, just disable the setting to hide the text.